In 2005, The Lumineers founders Wesley Schultz and Jeremiah Fraites posted an ad on Craigslist looking for a cellist. 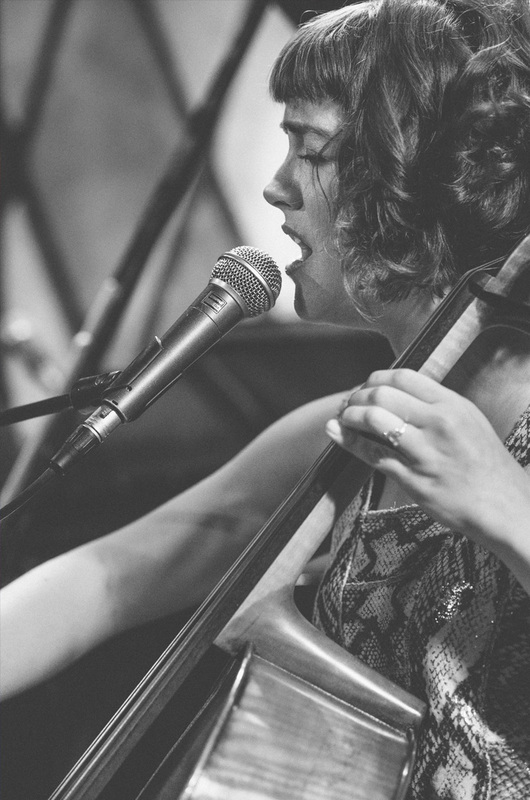 Not long after Neyla Pekarek answered the ad, she became the third member of one of the most popular folk rock bands in the world. 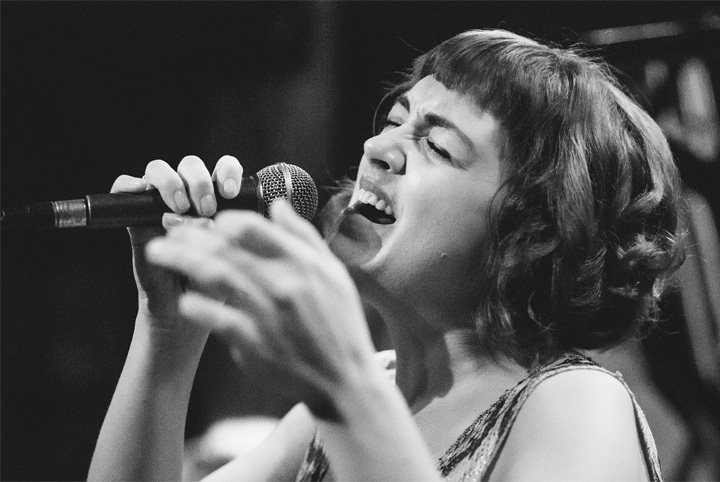 Pekarek played the mandolin, bass guitar, and piano in addition to the cello in her early days with the band, and as a side player, her contributions continue to beautifully color the music’s intentional minimalism. Now, as she records her debut solo album, Rattlesnake, Pekarek is in the empowering position of defining the role of every instrument—including the cello—herself. Pekarek meets me at a neighborhood coffee shop on a cold, wintry morning. We grab two stools in the corner and set our coffee cups down onto the sturdy, wooden bar. The first thing I notice about Pekarek is her hairstyle, which reminds me of a flapper girl straight out of The Great Gatsby. Being that Rattlesnake is a concept album with a story set in the 1920s, I wonder if it’s intentional. We get to chatting, and I learn more about Pekarek. 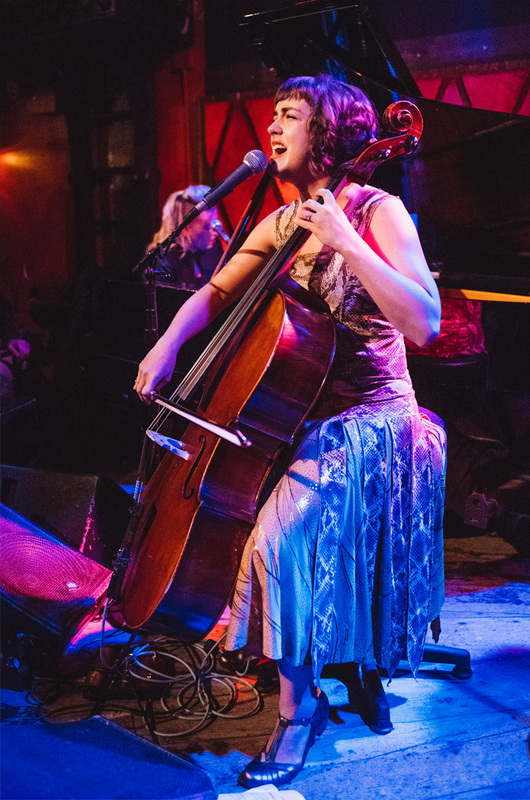 She’s poised and charmingly energetic—a fusion of a determined, outgoing theater performer and a cellist's practiced introversion. "We’re a bit odd," Pekarek giggles, about the stereotypes of orchestra players. "Before The Lumineers, I taught orchestra to middle school students. They tend to be more serious and introverted than band and choir students. At the professional level, orchestral players practice eight hours a day in solitude. So that private personality is kind of a must." When questioned about her extroverted side, Pekarek lightheartedly credits the four-year sabbatical she took from playing cello in college. Instead of joining the school’s orchestra, she went into theater to learn how to play lead roles and project her voice. Also during that time, Pekarek visited a local museum and came across what would eventually become the muse for her first album. Rattlesnake is based on a true story about a pioneer woman from Colorado during the mid-to-late-1920s. With her shotgun, horse, and toddler in tow, the single mother is confronted by a rattlesnake migration. Unable to run away, "Rattlesnake Kate" proceeds to shoot. Once out of ammunition, she extracts a "No Hunting" sign from the ground and clobbers the rest. By the end of the massacre, Kate counts the entire knot (140 of them dead), proceeds to sling the carcasses over the back of her horse, and rides home with her son. Eventually, she turns the snake skins into a dress. "Rattlesnake Kate sounds like a strong woman," I offer. "Yeah, she is. I mean, she owned a gun. She rode a horse. She was what most people would call a ‘tomboy.’ And, I guess, in a similar way, the cello attracts a certain kind of girl. It isn’t a delicate instrument. It’s not like a violin or a flute. You kinda have to get into it." Pekarek begins to mime, "You have to posture yourself around it and be okay with how you look. And you have to be able to carry it." "Is that what drew you to Rattlesnake Kate? Her comfortability with being different?" I asked. "Yeah, but I think it was more about her loneliness." Pekarek adds, "She was married six times, divorced six times, and she adopted a son, so she was probably infertile. Society shunned her. She felt pretty unheard and a little bit invisible by a lot of people." Though speaking about a historical character, I get the sense that Pekarek can intimately relate to the aspects of Rattlesnake Kate she’s describing. The baristas curiously linger around us, and Pekarek’s eyes scan the ceiling as she begins to talk about the traditional role of her primary instrument. "As a cellist, I’ve learned that it’s not always about you," she smiles modestly, "because the cello’s mostly a supportive instrument. It rarely carries a song’s melody." "Well, unlike a guitar, the cello’s fretless. The melody of most songs is written using chords. So, with a cello, you’re basically limited to composing with single notes. I could loop different sounds, but I haven’t done that yet." She continues, "Because it’s the instrument that sounds most like the human voice, I actually like harmonizing with it, as if there’s another person in the room with me while I’m songwriting. I guess it’s what happens when you’re alone in a hotel room in Paris with a cello and an iPhone and trying to get a demo down," she laughs. Pekarek says that some of her cello-composed songs are staying intact for the album, yet—as most songwriters know—embellishments and sacrifices are made during production. And even though Pekarek is leading the ship, her approach to the album is more scientific than emotional. "In the studio, it’s a little bit of a puzzle. You need a little bit of high-end and a little bit of low-end and some filler in the middle that might be on the cello or piano. It almost becomes mathematical, like, ‘Something’s occupying that space, sonically. That trumpet part is beautiful but it’s stepping on something else.’ That thought process takes the ego out of it. It’s not about the player or the instrument, it’s about what serves the song. The same thing happens on stage." After years of traveling the globe with The Lumineers, Pekarek has met a lot of musicians. But when forming her own live band, she recruited musicians who understand the nuances of playing with "non-traditional" stringed instruments. Josh Skelton is lead guitarist (electric, lap, and pedal steel) for the upcoming tour. To accommodate the songs and cello, he plans on bringing a Carvin AS 50 (circa 1969), a Mullen D10 Royal Precision pedal steel guitar, a Les Paul, two heavily-modded guitars (courtesy of Mike Patton at Eclipse Guitars in Arvada, Colorado), and a Danelectro. In the studio, it’s a little bit of a puzzle. You need a little bit of high-end and a little bit of low-end and some filler in the middle. It almost becomes mathematical. That thought process takes the ego out of it. It’s not about the player or the instrument, it’s about what serves the song." From his parked car somewhere outside of Denver, Skelton explains to me how he has to position his guitars around stringed instruments. "My guitar takes on a very different role than it usually occupies [in other music]. I once played in a band with a violinist, for instance. The violin sits in the high-pitched, 'rock star' range while my guitar sits in the rhythm area. So, with that band, I wasn’t in the violinist’s hair. "But Neyla and I both offer low-end resonance and sustain. Playing with a cello and keyboardist changes the tonal landscape in my standard sonic neighborhood. So, between the three of us, we’re sharing the same range—especially during verses. I just have to be aware that we’re in each other’s backyard." Skelton also has to be mindful when it comes to his guitar’s tone. "The cello is usually played monophonically, so as the guitarist, I have to be thinner with my tones. I won’t be pushing the front-end of the amp with a hot signal to get a thicker, more compressed sound. In that way, it’s a matter of orchestration rather than instrumentation." Back at the coffee shop, I find myself asking Pekarek a blunt question before averting my gaze into a diminishing cup of coffee. "Do you ever get the sense that your band is holding back on their own musical capabilities?" "Oh, yeah," she nods without hesitation, immediately recognizing the coincidence—if not the irony—of her role-reversal with The Lumineers. "So, for example, I know our drummer [Blake Watts] is scaling back a lot. He’s played in metal bands. I can hear during soundcheck how much he can offer. I turned to him during a rehearsal recently and was like, ‘You’re amazing!’ But because the album offers so much storytelling, we all have to honor the lyrics. Fortunately, I have bandmates that really get that. They’re all professionals and they don’t display a lot of ego." Pekarek knows it’s not entirely unique to be recording and touring with a cello. She cites Jack White, who has worked with a bass clarinet player, and Sufjan Stevens, who studied the English horn and oboe. He’s even known for multi-tracking himself playing a Wurlitzer, xylophone, vibraphone, glockenspiel, alto saxophone, and a Baldwin electric church organ. The phrase "non-traditional rock instruments," as oxymoronic as it is, is not as meaningful of a distinction as it once was. Pekarek’s cello is sitting alone in a hotel room, not far from where we’re wrapping up. As we put on our heavy coats, we banter about what we’re each doing later. She invites me to see her perform with comedian and YouTuber, Chris Fleming. He has a show tonight and she’s going to play the cello during his routine. Once again, she’ll be in a supportive role, but she doesn’t mind. Even as a side player, she realizes she’s ultimately serving the art.